A tire brand name you’ve probably just heard about from our posts and others, Donnelly (two ns and ls), just announced they’re making frames too, in a new bike line launch in time for Dirty Kanza. Over the years of covering the industry, one thing I’ve learned is people with experience know how to source. And, I’ve called for better and more integration from brands…like manufacture as much as you can yourself. To that end, and I welcome it, Donnelly has an adventure bike to match their gravel and CX tires. 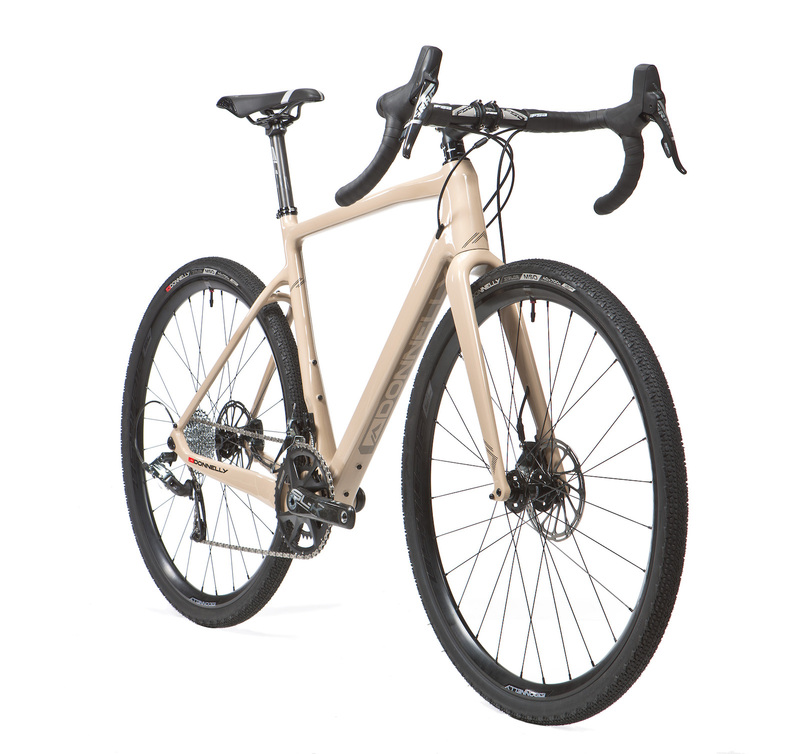 The bikes come in two flavors, CX or gravel, and as framesets or complete builds. What you need to know is, if you wanted an Open but the price is too high, Donnelly is coming to market at $1999 for the framesets and $3999 complete. I haven’t seen one in person and their studio shots aren’t indicating a dropped stay to fit the largest tire diameter, but instead a curved approach, like a Serotta. A test ride will tell me if my heels hit the stays or not. It’s taken 3 years for other makers to catch up with OPEN and at affordable price points. That’s good for everyone. Designed by Rolf Singerberger you should expect the Donnellys to perform. If you don’t recognize Rolf’s name, you will his bikes…the BMCs and carbon Merckx. 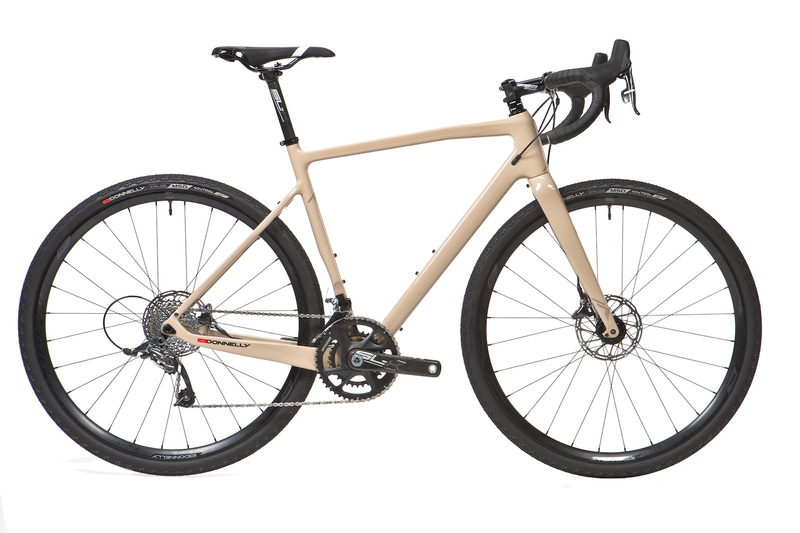 Of interest to me is the G/C which blends aggressive frame angles for gravel racing or fast group rides, with enough comfort for long days in the saddle. Most importantly the frame accommodates a 45mm tire on a 700c wheel and a 50mm tire on a 650b wheel. The built bikes are spec’d with SRAM Rival or Force, all reasonable and Donnelly’s USHUAIA or USHUAIA SL wheelset. I’d expect a shop could put together an amazing build for you, if interested. 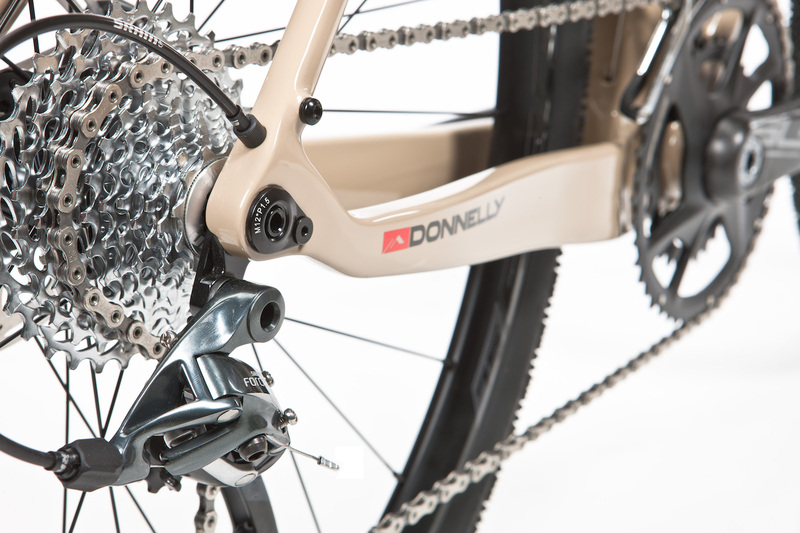 Learn more about the bikes from Donnelly and see all the specs.